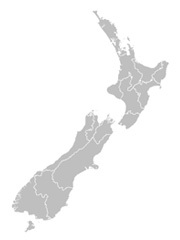 The New Zealand Ministry of Health Provides Medicine Care Guides for Aged Care in New Zealand. The aim of the Medicines Care Guides is to provide a quick medicine management reference tool for all care staff working in residential aged care in New Zealand. Below is the link to the Guidelines, these can be downloaded or you are able to order a hard copy from the MOH website. Senate provides compulsory ongoing training for all employees. This is organised through our annual training programme and ensures consistency and quality of service. Intensive training provided by Senate Nursing Bureau services are designed to provide the necessary competant staff to assist your organisation. All staff are provided with Induction Training, Positive Practices, Back Care and treaty of Waitangi Training with recognised internal and external training providers. It is hoped that Senate Nursing Bureau will be your first choice in providing specialist day, residential, nursing and care support for your company.